A couple of years ago, the world was in financial turmoil and many individuals lost their money because of the economic downturn experienced worldwide. Now, the world markets are recovering from their losses, opening up many opportunities to invest in many parts of the world, including Spain. Spain is still reeling from the recession, thus making it a prime market for investors and other purchasers. Many of the property values in the country have devalued, which is a boom to many but a bane to others. This is what is now termed as a buyer's market and now is the best time to invest in Spain. When investing in property in Spain, there are many things that need to be learned to make the process smooth and price competitive. The following are some of the tips on investing in property in Spain. Learn about the property. Seeing pictures online as to the actual property, for those already built, or future developments, for those still to be built, is not enough when investing in Spain. One needs to see the actual property to be sure of the area as well as the condition of the property. Also, due diligence needs to be undertaken on the property, as all the legal paperwork and registration requirements need to be clarified to make the transaction push through. Learn about the payment. Since one is overseas, finding a sure and cost effective manner of transferring funds is key. Also, the currency fluctuations need to be prepared for as this determines how much needs to be paid to the property developer for the purchase of the property. Proper receipts as well as documentation is necessary to insure that the money paid actually is received and recorded by the seller to avoid any issue as to late or unpaid invoices on the property. Learn about the budget. Since this is an investment, monthly payments lead up to the total cost. 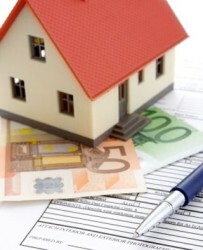 In Spain, there is such a matter as extra expenses when it comes to the purchase of property. These include legal fees, translation services, taxes and costs of notarization. The notary is important as this person is central to the transaction through the preparation of the deeds, determination of taxes due as well as the registration of the property in the purchaser's name. All these are extra expenses that would fall within the budget of the purchase price and improvement costs. Learn about the process. In investing in property in Spain, there's a whole process that needs to be relayed to the individual buyer. The best way to make this as seamless as possible is through the engagement of a property agent that would work for an on behalf of the purchaser. When there is an actual representative on the ground, the process of decision making as well as confirmations can be easily be done to make the transaction into a reality. As can be seen, there's a lot to be learned when it comes to investing in property in Spain. In each of the lessons learned, it would be an insurance as to the property being purchased to be of proper value and transfer. Once all these tips are done, the property would surely become a worthwhile investment in the long run.